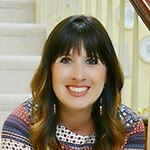 Vanessa is the co-author of the lifestyle blog At the Picket Fence where she and her sister share ideas for the home alongside inspiration for the heart. Her favorite roles are as a mom to her two precocious kiddos and wife to her husband of 16 years. With a passion for encouraging and supporting others, Vanessa enjoys a successful writing career and the opportunities she has to speak to both small and large groups on topics ranging from faith to motherhood to blogging and everything in between. While she loves to share home decor ideas, her true passion is for coming alongside others in their life journey and with humor and vulnerability, reminding them that we are all in this together! Vanessa’s work has also been featured in Good Housekeeping, Cottages & Bungalows, Redbook, Celebrating Everyday Life and Romantic Homes. 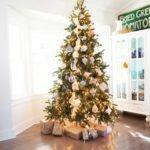 What type of Balsam Hill tree do you have and how tall is it? 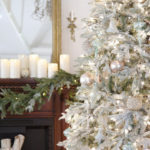 This tree was part of Balsam Hill’s 2013 “12 Bloggers of Christmas” series. It’s from the Greenwich Estates Pine Tree Set. It is 4 feet tall, and I gave it added appeal by placing it on top of a wooden sled. 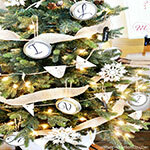 What mix of ornaments did you use for your Greenwich Estates Pine tree? 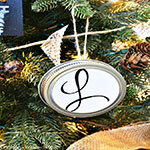 I was so excited to create my own custom monogram ornaments for this tree in my entry. 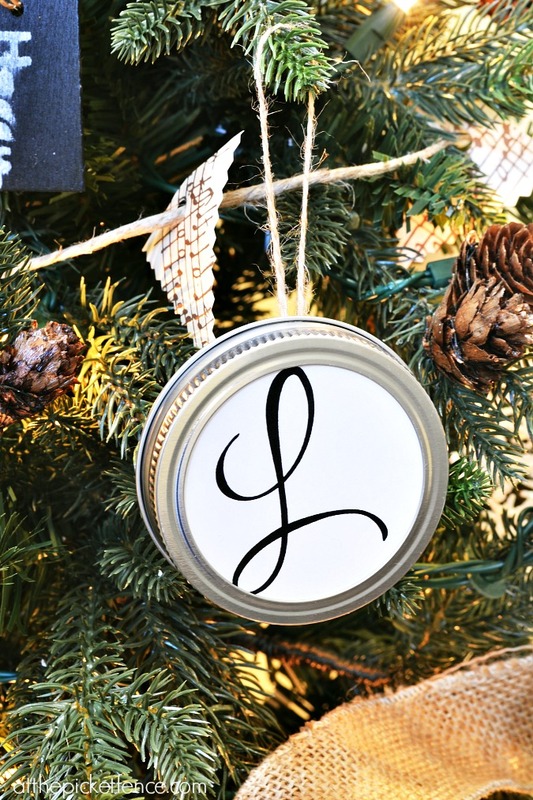 I used mason jar lids and printed out the initials of the members in our family and then used hot glue to attach a little piece of twine for the hook. In addition to the mason jar lid ornaments, I used little chalkboard tags and we all wrote down things we love about our family. 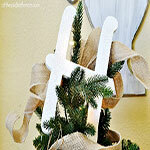 It was so fun to get creative with this tree, and because it was so small it was easy to keep it to an overall theme. There were approximately 30 ornaments on this tree. 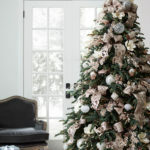 How much garland/ribbon did it take to cover the tree? 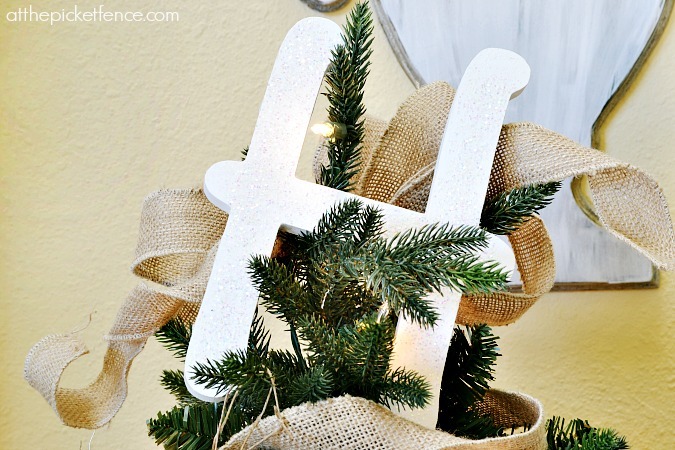 I used ribbon for extra detail, and then made my garland out of twine and paper to give it more depth and texture. I am completely obsessed with monograms, and I thought it would be so perfect to have our family name represented in the entry of our home, greeting each guest that walks through the door.